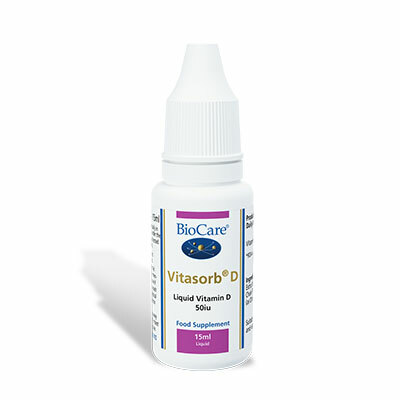 Vitasorb D in a gentle potency in a simple hypoallergenic, extra virgin olive oil base. 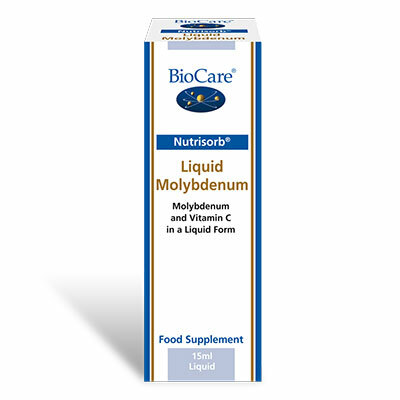 Provides 1.25mcg per daily intake of 4 drops. SKU: BIO25315. Categories: Liquid Vitamins & Minerals, Nutrisorb & Vitasorb Range, Vitamin D.
Vitamin D is important in the body’s use of Calcium and Phosphorus for bone health and this formulation from Biocare offers vitamin D in an effective and easily absorbed liquid form. Particularly suitable for children and the elderly. One to twodrops taken twice a day in water, juice or milk, or taken directly under the tongue, or as professionally directed. Each drop contains 12.5ius based on a daly dosage of 50ius in four drops.